The film focuses on a courageous new phase of the climate movement that’s taking place worldwide on a grassroots level. Disenchanted, angry citizens around the globe are locked in battles to counter the fossil-fuel industry’s enormous power and ongoing pollution of land, sea, and air. It’s heartening to know that there are numbers of world citizens who comprehend the growing negative effects of climate change and are actively pursuing ways and means of slowing CO2 emissions, by promoting the message “Keep fossil fuels in the ground!” Putting pressure on institutional investors to divest is one strategy, in addition to placing bodies in harm’s way to block or shut down significantly harmful operations. So far, in most cases the strategy has been non violent, a benign form of civil disobedience, which may be interpreted as “moral disobedience”. 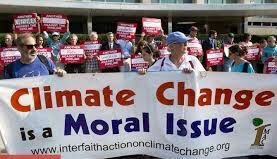 Activists seeking to improve the quality of life for all living creatures—and their living environment—may be justified in using disobedience to counter malevolent practices imposed by power-wielding individuals, institutions (secular and religious), corporations, or interest groups. Bettye and I have attended a few protests in the Twin Cities metro area, and all have been peaceful demonstrations, predominantly about climate-change concerns. In order to maximize effectiveness, more concerned citizens need to let their voices be heard—and their presence observed—in supporting this vital movement. There are two very active climate organizations in Minnesota— MN350.org — Climate Solutions and Climate Generation: A Will Steger Legacy—and both are eager to gain more participants. So please view this film! And also give careful consideration to ways you might participate more constructively in the climate-change movement. And while you’re at it, it will help greatly to promote the underrated role of overpopulation in producing CO2, the main driver of climate change. Promoting humane ways reducing our expanding human population will provide the most feasible, long-term solution for reducing CO2 levels, and slowing the disastrous effects of climate change. > Breakfree: Disobedience (https://vimeo.com/164662453). This powerful new 40-minute film by DisobedientProductions presents information, leaders, and worldwide movements in the grassroots movement to stop fossil fuel production in order to lower CO2 emissions and ameliorate the growing effects of climate change. A must-see film for anyone concerned about our future. > Resilience: America’s Story (Erik Lindberg). We live on a saturated planet. The unquestioned backdrop of material abundance, of cheap and plentiful energy, rich soil, and a stable climate that allowed us to believe our beliefs and ideals sat in the driver seat are now beginning to wane, and we are left to accept that even our raggedly middle-class society requires about one quarter of the world’s energy and natural resources to maintain. We are told by leading scientist, journalists, and our political leaders that our technological prowess might provide solutions for all of our woes, but promise of continued growth and that each generation shall prosper more than the previous is credible only if you believe that our past prosperity was, as our national narrative falsely tells us, a product of our spirit, will, and unique national virtues. Ideals and beliefs may have helped us manage this abundance; but create it they did not. > Our Finite World: Debt: The Key Factor Connecting Energy And The Economy (Gail Tverberg). The situation we are facing today is one in which growing debt has been holding up oil prices and other commodity prices for a long time. We are now reaching limits on this process, as evidenced by growing wealth disparity, low commodity prices, and the frantic actions of government leaders around the world regarding slow economic growth and the need for more stimuli. These issues are becoming major ones in the upcoming US political election. Those studying oil issues from an EROEI perspective tend to miss the connection with debt, because EROEI analysis strips out timing differences. In my view, debt is essential to oil extraction, because it brings forward an estimate of the value of the oil and other energy products, so that businesses of all kinds can make use of the “energy profit” in paying their employees and in paying their taxes. Most people don’t think of the issue this way. > The Archdruid Report: The Dawn Of The Cthulhucene: A Retrospective (John Michael Greer). The dawn of the Cthulhucene represents the arrival of a geological period in which those latter ways of understanding the world will be impossible to ignore any longer. We are beginning to learn no matter how hard we scrunch our eyes shut and plug our ears and shout “La, la, la, I can’t hear you” to the rest of the universe, the universe is not going to give us what we want just because we want it: that the resources we waste so cluelessly will not be replaced for our benefit, and we will have to face every one of the consequences of the damage we do to the planetary biosphere that keeps us alive. In place of the megalomaniacal fantasy of Man the Conqueror of Nature, we are beginning to see a vast and alien shape rising before us out of the mists of the future, a shape we might as well call Cthulhu: winged, scaled, tentacled, clawed, regarding us with utterly indifferent eyes. > Slate: We Need To Talk About Climate Change (Eric Holthaus). Fire is a natural part of the boreal ecosystem, but what’s happening in Fort McMurray isn’t natural. A messy mix of factors—including inadequate forestry management practices, rapid encroachment of the urban area into the surrounding environment, a particularly stagnant weather pattern, a record-strength El Niño, and human-caused climate change—all aligned to turn this fire into this continuously unfolding tragedy. And it’s that last factor—climate change—that has spawned a commentary firestorm of its own this week. Record warm temperatures, a vanishingly small snowpack, and drought conditions—all of which are symptoms of climate change in boreal Canada—very probably made this fire worse. > e360.Yale: Abrupt Sea Level Rise Looms As Increasingly Realistic Threat (Nicola Jones). Ninety-nine percent of the planet’s freshwater ice is locked up in the Antarctic and Greenland ice caps. Now, a growing number of studies are raising the possibility that as those ice sheets melt, sea levels could rise by six feet this century, and far higher in the next, flooding many of the world’s populated coastal areas. The planet’s polar ice is melting fast, and recent satellite data, models, and fieldwork have left scientists sobered by the speed of the sea level rise we should expect over the coming decades. Although researchers have long projected that the planet’s biggest ice sheets and glaciers will wilt in the face of rising temperatures, estimates of the rate of that change keep going up. When the Intergovernmental Panel on Climate Change (IPCC) put out its last report in 2013, the consensus was for under a meter (3.3 feet) of sea level rise by 2100. In just the last few years, at least one modeling study suggests we might need to double that. > Minnpost: Bakken Wells Drove A Sudden Reversal Of Global Decline In Ethane Emissions (Ron Meador). Oil and gas production in North Dakota’s Bakken formation is the key culprit in a worldwide rise in atmospheric levels of a potent greenhouse gas that also contributes to ozone formation near the Earth’s surface. Moreover, the emissions measured over the Bakken are 10 to 100 times larger than producers have been reporting to regulators, according to research published Friday in the journal Geophysical Research Letters. The gas at issue is ethane, a hydrocarbon that ranks No. 3 behind carbon dioxide and methane as a driver of the greenhouse effect and global warming. Also of concern is its contribution to poor air quality when it reacts with sunlight and other atmospheric chemicals to create eye- and lung-irritating ozone, which can be harmful to certain crops and has heat-trapping properties of its own. > The Guardian: Global Water Shortages To Deliver ‘Severe Hit’ To Economies, World Bank Warns (Suzanne Goldenberg). Water shortages will deliver a “severe hit” to the economies of the Middle East, central Asia, and Africa by the middle of the century, taking double digits off their GDP, the World Bank warned on Tuesday. By 2050, growing demand for cities and for agriculture would put water in short supply in regions where it is now plentiful – and worsen shortages across a vast swath of Africa and Asia, spurring conflict and migration, the bank said. Water shortages could strip off 14% of GDP in the Middle East and nearly 12% of GDP in the Sahel – without a radical shift in management, according to the bank’s projections. Central Asia could lose close to 11% of GDP and east Asia about 7% under business-as-usual water management policies, according to a new report. Taking into account all regions, the mid-range toll of water shortages on GDP was about 6%. > Circle of Blue: Water-Related Risks Strand $Billions In Energy, Mining, Power Projects (Keith Schneider). Converging economic, ecological, technological, and political trends are causing turmoil, with much distress linked to the Earth’s shifting hydrological conditions caused by climate change. Global prices for coal, oil, and minerals have tumbled to near-record lows in constant dollars. Hard rock mineral mines are closing on five continents, many because of civic rebellions fueled by fears of disruptions to local water supplies. Investors and financial managers scramble to figure out a strategy for keeping afloat. According to the study, Navigating Rough Waters, companies that did not completely understand their water needs, or embrace plans for quickly adapting to water stresses, were bound not to succeed. Companies and nations that pursue conventional mega-industrial energy, mining, and power supply projects that cost billions, take years to build, and consume, pollute, or disrupt water supplies will suffer economic hardships. > The Nature Conservancy: Mississippi River Headwaters (staff). Today, however, economic forces, including increasing demand for corn and soybeans, are driving changes in land use in the Headwaters Area. As a result, we are losing forest, grassland and wetland habitat and the many benefits they provide, including clean water. Between 2008 and 2013, more than 260,000 acres of forest, wetland and grassland were converted to agriculture, with the largest proportion of this occurring in critical water supply source areas. A recent study showed that even modest changes in land use can have profound effects on the amount of contaminants in the water that must be treated. In the study, a 4.5 percent increase in the acreage of agricultural lands could increase nitrate levels in the river up to 19 percent. Minnesota’s Clean Water, Land and Legacy Amendment, particularly the Outdoor Heritage Fund, is supporting conservation projects in the Headwaters Area. The Conservancy favors investing more of the amendment’s Clean Water Fund money in the region to keep healthy waters healthy. > Business Insider: There’s A Big Warning Sign That The Wheels Of The US Economy May Be Grinding To A Halt (Bob Bryan). The Fed surveys people in charge of giving out loans at financial institutions and asks them if it’s getting harder or easier to get a loan. For the past two quarters, these officers have been reporting standards tightening at a faster rate. The broader issue here isn’t just that businesses are going to have a tougher time getting loans, but what that means for the US economy. On the one hand, credit growth usually indicates expansionary policies. Businesses that can get loans can then turn around and use that capital to invest in growth opportunities and hiring. Turn off the flow, and this ability to invest in growth stops. > Resilience: Is It Time To Change The Story? Let’s Start Writing The Future (Judy Alexander). Our stories can keep us focused on the content and energy of life as we know it. We now know that to persist on extracting fossil fuels to continue our present path will drive climate change to global-warming levels that will make sustaining life impossible. This story virtually guarantees a miserable outlook for what lies ahead, and perhaps no future for generations that would live beyond our lifetimes. What if we need now to draft a new story, one that ensures a future for our children, their children and the generations beyond? Can we collectively write a new story, one that is closer to how we would truly like to live? For now, please email your new story contributions, a few sentences, a paragraph or perhaps even a whole chapter, to ournewstory2016@gmail.com. > Eco Watch: The Movement To Stop Fossil Fuel Development Is Winning (Wenonah Hauter). The fact is, activism—when we apply enough pressure to our decision makers—works. While some politicians and regulators are finally catching up with the science, Big Oil isn’t going to give up without a fight, of course, but they are clearly worried that the narrative on dirty energy is shifting. What’s the next step? Keep up the pressure—and amp it up a few volts. The March for a Clean Energy Revolution will hit the streets of Philadelphia during the Democratic National Convention this summer—where Democratic leaders around the country will convene—to call for a ban on fracking, to keep fossil fuels in the ground, to stop dirty energy and make a swift, meaningful transition to renewable energy. We’re winning—and we plan on continuing to do so. > Vox: Solar Power Is Contagious. These Maps Show How It Spreads. (Brad Plumer). Rooftop solar is expanding rapidly in the United States — by some estimates, a new system goes up every four minutes. There are plenty of reasons for that, from falling prices to generous federal subsidies to innovative leasing schemes. But there’s another, little-discussed factor here: Residential solar power is contagious. Studies have found that if you install solar photovoltaic panels on your roof, that increases the odds that your neighbors will install their own panels. You can talk to the neighbors, find out more, think about whether it makes sense for you. It’s also possible there’s a competition effect — green-minded households don’t want to be one-upped by their neighbors installing panels. See also Climate Progress: The Energy Revolution Is Actually Happening Right Now. > Resilience: Nature’s Way: A Path To Ecological Agriculture (Wes Jackson, Allen White). Modern industrial-scale agriculture has proven incompatible with the structure and function of natural systems. To reverse the abusive practices that are undermining the long-term health of the land, humans, and non-human species, a new agricultural paradigm that mimics rather than contradicts ecological principles is urgently needed. Ecosystems are our elders, our best teachers, having evolved over millions of years. The ancient dualism between agriculture and nature can come to an end. The point is, we do need a shared vision built on ecology, which is nature’s economy, if we are to replace the industrial mind whose primary features are consumerism, accumulation, and extraction. > Resiience: Growing Pains: 5 Challenges Facing Urban Agriculture (And How To Overcome Them) (Khistopher Flack). Urban populations are growing rapidly, and so is the popularity of urban agriculture with city dwellers, chefs, and policymakers. As more people place larger demands on what was originally a grassroots movement, we look at some of the hurdles and how some companies and individuals are addressing them, by: 1) scaling up (going vertical); 2) composting to create soil; 3) using drip or underground irrigation systems to conserve water; 4) making gardening a viable undertaking; and 5) adjusting expectations to suit situations. > MN350: Climate Campaigns And Projects. For a listing of campaigns, projects, and events.